According to the Merriam-Webster dictionary, red tape is defined as “official routine or procedure marked by excessive complexity which results in delay or inaction.” It is usually associated with government-regulated bureaucracies and ineffectiveness, and has an overwhelming negative connotation in the English language. I now fully believe that it should have this reputation. More people than not are very familiar with red tape. For example, filing health insurance claims is a process often burdened by red tape. I had only been vaguely familiar with the concept of red tape until I experienced it directly on Monday when I had to complete a room reservation for our final ballroom event. When we first talked about reserving rooms for our final event, I didn’t give the task much thought. I assumed that the caliber of our campus-wide project and being associated with the Pearce Center and the Communication Studies Department at the very least would make it easy to reserve virtually any room on campus that we wished. I had only ever reserved rooms under the authority of the Public Relations Student Society of America (PRSSA). Campus organizations are granted much more leniency regarding expense and access to the rooms, so I just assumed that the same standards would apply to our class project. Once aware of the regulations and requirements however, it became clear that we would need to make the reservation under a student organization. Fortunately, we had several organizational leaders in the class so that it would not be a problem to do so. It made sense for PRSSA to be the organization associated with the event since I was in the event planning group and part of the project involved publicizing the event. So, Dr. Holland cleared it with Dr. Denham, PRSSA’s faculty advisor, and then went ahead with making the room reservation. She filled out the packet of information and was told that she would receive confirmation in the coming days. When that confirmation never came, we decided that something else must be needed, or something went wrong. Dr. Holland reached out to those in charge of reservations and found out that, in fact, a confirmation email was not coming because they could not process our request without more information. At this juncture I was a little dumbfounded, for two reasons. First, it is very unprofessional for one to tell an individual that they will do one thing and then never follow up on it, i.e. the confirmation email. The second reason was because Dr. Holland had made the reservations and she is a professor, not just a student. I could expect a student’s reservation request to get lost along the wayside, but I was shocked that the employees would be so careless with a faculty request. Dr. Holland learned that they needed me, as the PRSSA representative, to go and fill out the exact same packet. What’s more, none of the information needed to be different other than the name and signature of the person making the reservation request. When I got there and learned this, I was more than annoyed. They already had all the information, so couldn’t I just write my name on that packet and sign it somewhere? In reality, there’s little difference save arbitrary regulations set by the university. I actually asked the woman if it would be possible for me to do so, but she said that it would not be acceptable. I wondered why but didn’t bother to go further with it; I doubt she even would have known the answer herself. Not only was I re-doing the packet, but the questions within the packet were repetitive too. I put down the same contact information three or four times, answered the same questions about food two or three, and had to give a description of the event at least twice. The packet was very poorly organized and somewhat unnecessary. It struck me halfway through the first page that this was a prime example of red tape and I was having my first experience with it head on. I suddenly realized why the concept of red tape made so many people irritated, why it had such a negative reputation. I understand that the university needs to regulate such things as room reservations and, in hindsight, I am surprised that I had never considered the fact that an organization as big as Clemson University would have bureaucratic tendencies. It is unfortunate that it is so difficult for a group of students (especially ones with significant financial backing) cannot reserve rooms on campus based on those merits alone. What it really comes down to is that we had to “stretch the truth,” for lack of a better phrase, in order to make it possible to secure the room, furniture, and equipment it that we needed. I don’t consider this irresponsible, but I think it points out a glaring inadequacy in Clemson’s student services procedures. One of the things I am very excited about regarding the promotion of this event is the opportunity it gives myself and my group members to utilize social media. I consider this symposium, at least in part, an opportunity to put into effect everything I have learned from my previous public relations courses and Public Relations Student Society of America meetings. I have learned a lot about the role of social media in the public relations field and believe that it is the way of the future. Event promotion especially, can benefit from the immediacy and personalization of social media, so I am glad that we are using it for the symposium. Another reason why I feel that it is appropriate to use social media to promote our project and event is that social media are very relevant to our target audience. The largest group that we are targeting for this event is students. Young adults are huge social media users. I know more people with a Facebook than without one. Of the people that I know who are on Twitter, each is an avid user that is constantly connected to the site. If I have learned anything from PR classes and meetings, it is that the best way to contact someone is to do so through the medium they wish to be contacted/that they most frequently use. Because social media is such an integral part of almost every student’s life, I think it is best way to promote this event to the people we want to come. The two social media sites that we have chosen to use for this project are Facebook and Twitter. We chose these first, because they are currently the most prevalent social networking sites, and second, because they are easy to use. We chose two people within our group, one for Facebook and one for Twitter, to monitor the sites. However, each one of us has access to each account and is free to update and add things as we wish. I believe that it is very important for us to closely monitor these two accounts because we are dealing with a potentially volatile issue. Because we are asking people to share very personal and oftentimes confrontational beliefs about identity, there is the chance that conversations on these sites may become less than productive. In order to make sure that doesn’t happen, we are committed to not only updating consistently to keep the sites alive, but also to making sure things stay calm, constructive, and inoffensive. Overall, we have two goals for utilizing these sites. 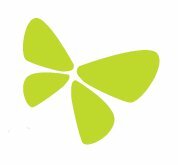 The first is to provide people with a place that they can always turn to, to find out pertinent and accurate information about our event. It is extremely important to be useful to people and give them the information they need in order to participate in our project. Social media is an effective way to do so for our particular audience, as discussed above. The second goal is to create conversations. We want to post things on our Facebook page and Twitter account that make people really think and want to respond. I think a good way to do this is to look at current events and pop culture and see what is going on right now that has to do with identity issues. For example, I showed the class something I tweeted that I think is a good example of this. It reads, “I am a woman but not a sandwich-maker RT @CharlieSheen Allow your woman to be creative, there is more than 1 way to wash a dish.” By piggy-backing on what people are already talking about, such a Charlie Sheen, it will be easier for us to get people interested in our project and it gives us the opportunity to create conversation before the event even starts. Hopefully I will be able to use what I have learned about social media in the past few years to make this event successful. Personally, I consider this project a test of my abilities before I go out into the “real world” to put these skills to the test in a professional setting. I know it won’t be easy, as people aren’t generally compelled to become involved with seemingly random projects on Facebook and Twitter. But, if we follow the best practices I have learned over the past few years and are committed to pushing the envelope to get people interested in what we are doing, I think we will do well and be able to generate a lot of interest. One of the shirts we made from an anonymous student suggestion. Last Thursday when we took the class period to decide on our “I am… but not…” phrases and decorate our t-shirts, I had a lot of fun. Although we were not working specifically on the logistics of the events we are planning, I still felt that it was one of the most productive days we had. Deciding on our phrases and actually putting them on our t-shirts made everything finally seem very real and it got us thinking about what we are asking others to do. It was exciting to start seeing things coming together for the symposium, but also unexpectedly nerve-wracking. We discussed this a bit in class, but I would like to offer my own thoughts on it here. Confronted with having to define myself and the stereotypes attached to my identity was very difficult. This difficulty was only exacerbated by the thought of having to walk around on with the statement on our bodies. For example, Molly C. came up with the statement, “I am beautiful but not skinny,” which I love. The statement is confrontational, yet positive, and I think it is a very good example of the conversations we are attempting to facilitate. However, she was hesitant about putting it on her shirt, because it calls attention to her own insecurities. These statements are essentially an invitation into our deep thoughts and feelings about others and ourselves: some of them are hard to share, unfounded, or even inappropriate. Ultimately, I chose “I am blonde but not dumb” because I like the way it strikes a blow at a stereotype that is deeply engrained in society and therefore not taken seriously. I faced another surprise when I took to walking around campus to hang the fliers that advertised the times people could go to the library bridge to fill out their “I am… but not…” cards. As I walked through buildings all over campus, I quickly noticed that I would become a little nervous and uncomfortable when I had to actually hang the flier. The flier that I was hanging was not necessarily provocative or controversial at first glance, but I think knowing what the flier stood for was what made hanging them difficult. It is one thing to think about the identities of others, to ask others to put themselves out there. But, when I was physically connecting myself with the event, it became a much more difficult image to face. Thankfully, as the day went on I got used to the feeling of hanging up the fliers and became more confident doing so. In fact, I actually had a student come up to me as I was hanging one, and she asked me about the event and what we were trying to accomplish. I was very excited to have already generated interest in our symposium, just by hanging a piece of paper. I hope to continue feeling this confident on campus as I wear my t-shirt over the next month to promote the event. 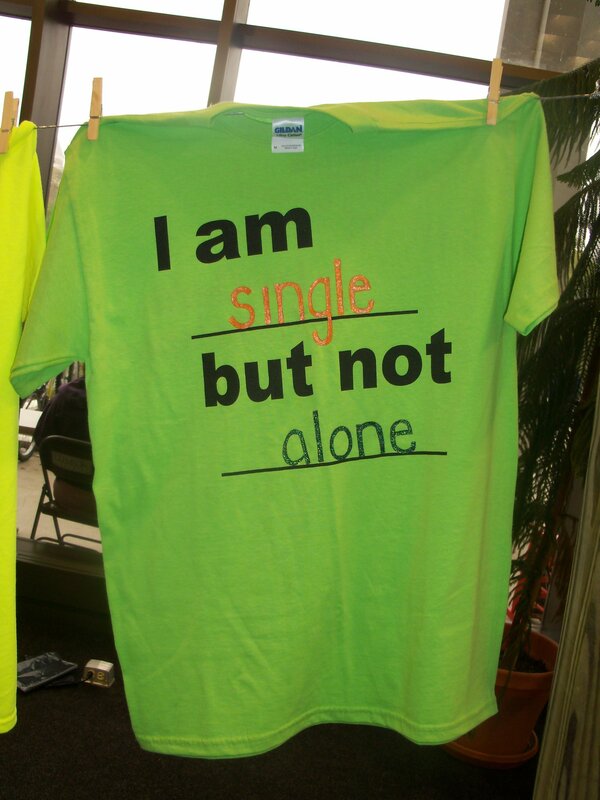 I also hope that wearing our t-shirts will continue what the fliers have started- creating awareness of our event. If we can continue to consistently create buzz surrounding our event, I know that it will be successful because I am very confident that the topic of our symposium is interesting and relevant to people’s lives today. So, as a member of the PR group, it is my job to make sure that Clemson students and faculty first, know that the event is going on, and second feel compelled to go. The fliers and t-shirts are just the beginning of what we have planned, but I think that in order for this symposium to work- to truly facilitate thinking and conversations that push the envelope about identity- that we must be fearless. As the students putting on the event, we must be the ones to take that lead and be brave enough to face the uncomfortable issues that we are dealing with head on. By showing our peers and faculty that we are willing to step out of our comfort zone and that it is not only okay to do so, but also productive, because it is necessary to have these conversations. I believe that leading by example for this symposium is key to its success. I have been meaning to share with you my endeavors from last semester, but life kept getting in the way. Shame on me, but at least we are here now. As a Communication Studies student at Clemson University, one is required to take COMM 495, a capstone course, during his or her senior year. Each semester there are about three or four different courses open, each with a different topic. My choice for this past semester was Public Discourse and Human Identity. The topic was right up my alley, sounded exciting (re: pushing boundaries), and I was to be working under my favorite professor in the department, Dr. Shannon Holland, an undeniable perk. We had no rules. No guidelines. But we did have money. We were given $1,000 from donor Maryalice Mayberry with a single simple instruction: Figure out an engaging way to facilitate difficult discussions about identity on Clemson’s campus. Long story short (and I mean long), we came up with the phrase “I am… but not…” with which we would invite students and faculty to anonymously fill in the blanks regarding their own identities. Ex: I am blonde but not dumb, I am shy but not voiceless etc. 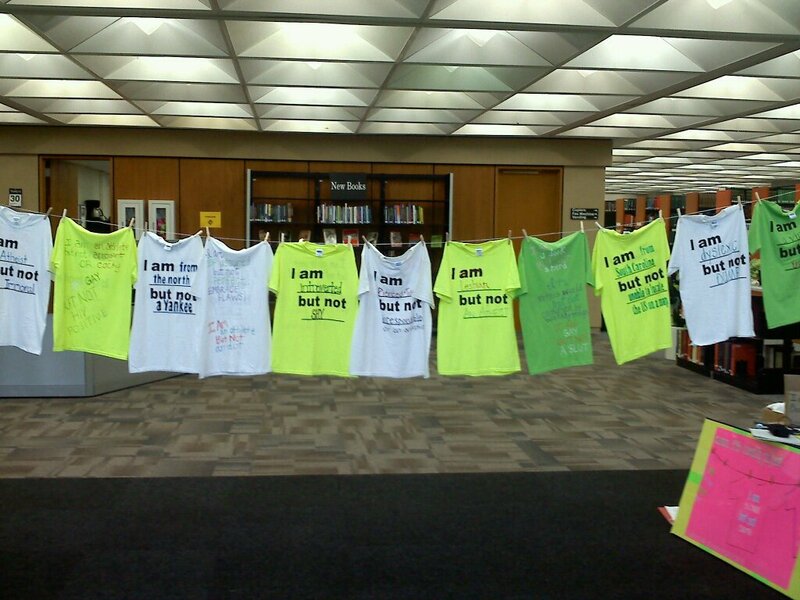 We also loved the concept of “airing out your dirty laundry” of The Clothesline Project, so we decided to incorporate this into our project as well by taking the participants responses and writing them out on shirts. Ultimately these shirts would be hung on a clothesline display (designed by us, constructed by Dr. Holland’s partner out of the goodness of his heart) in the library for everyone to see. To wrap up our project we decided to host a symposium where students and faculty could come together to engage in these identity discussions, modeled after The World Cafe. Our goal was to have at least one person walk away at the end of our project thinking a little bit differently about who they are and who they come in contact with every day. All makes perfect sense, right? No kinks at all? Yeah, we didn’t think so at the time either. But man, did we pull it off. One of our assignments for the course was to write a series of six journal entires about almost anything relating to the project. My journals were at times insightful about our purpose, and at others they had a much more logistical focus. Either way, I think they paint a great picture of what myself and my classmates worked to create from January to the end of April during my last semester at Clemson. I will be posting these journal entries (with some modifications to make them more blog-friendly) here over the next few weeks. It is important to me to share with as many people as possible what we accomplished and how great of an experience it was. We just finished editing our video for Safe Harbor! It’s about three minutes in length, and looks good! It’s not the most complex video in the world, but I think that any more editing or effects would have taken away from the woman’s story and thus the point of the video. I really like our final product. I think it is perfectly moving so that the audience will really appreciate her story, but it also sheds light on how much Safe Harbor can do for a person. I’m glad that we were able to get the point across that Safe Harbor is a very important organization that has the ability to change a person’s life for the better, and I hope that it motivates people to call the organization if they, or someone they love is a victim of domestic violence. It took a little while to figure out what we were doing with the editing program, but once we got the hang of it we were able to get the editing done relatively quickly. It looks really professional, and I am excited about being able to share it with our class on Thursday. I also hope that Safe Harbor likes the video, and that they will find it useful. Looking back over the entire semester, what really sticks out in my mind regarding this project is how lucky we were to be able to actually go to Safe Harbor and speak to a domestic violence survivor. By being able to do so, I felt I became much more connected to the organization which ultimately motivated me to really take this video seriously. I wanted to give them a final product that speaks to the genuineness of the organization. It is unfortunate that we were not able to stick more closely to our project proposal and do two videos (one for raising awareness and one for fundraising). But, I think it is almost better that we were able to focus all of our effort and make one really good video. Overall, working with a nonprofit was actually a lot more rewarding than I thought it would be. For me, doing this project was more than just a grade. I felt like I was really contributing to something bigger and more important than myself, which was an awesome opportunity that this class afforded me. Despite all of the challenges that we faced, everything was well worth it in the end. This past Friday myself and my two group members made the drive to Greenville to Safe Harbor’s administrative offices and then later to the shelter. There, we met former Safe Harbor client Deborah, the woman who was beyond brave enough to share her story with us, and in a few weeks once editing is done, the world. Jacki and Laura (the two other women in my group) filmed while I served as the person whom Deborah looked at while she told her story. I only had to prompt her but once towards the end, which we are so thankful for. Her story flowed beautifully. It seemed as though she was reading my mind, every time that I would think of something to ask her that I wanted her to touch on, she did just seconds later. We really could not have asked for a better interviewee. After we were done with the interview, we drove to the Safe Harbor shelter to film b-roll of the different rooms. Again, the people there were very helpful and I think we got a lot of good stuff that we can splice in! The only glitch that we have really dealt with thus far has been the sound. The microphone that Clemson lent us was not compatible with the camera we were using, and we were unable to find a mic that would work so we have to use the audio from the camera. Hopefully we will be able to adjust the volume and quality once we sit down to edit. We plan to start making edits next Monday, once we are all back from Thanksgiving break. To be honest, I have no interest whatsoever in becoming a board member of a nonprofit. Where this class has gotten me very interested in the public relations efforts that nonprofit organizations engage in, and made me consider possibly pursuing that as a career at some point, this chapter does little to whet my appetite for how to effectively manage a nonprofit in the online era. Nonprofits of the future will be in touch with what is going on in the world around them so that they can better serve those they claim to. I have touched on this concept before when I talked about my group’s video project for Safe Harbor. We decided to make the focus of our video a former client of Safe Harbors as she shares her story about how Safe Harbor helped her. Filming went very, very well (but more on that in a later post). We followed in the footsteps of an organ donation organization in Illinois called Donate Life. We watched a video in class that they produced about a man whose life was saved when a young girl passed away and donated her lungs. Emotional appeals abound in this video, which I believe are a very effective way to connect audience members to a cause and move them to action. The authors note, “Storytelling brings alive the activities of an organization and makes their issues real and urgent for current and potential supporters. Stories put a human face on abstract ideas, provide moral clarity in a fight against unfairness, right a fundamental wrong, and celebrate triumphs over evil.” Clearly, personal narratives carry a lot of moral clout which is very powerful when encouraging people to take initiative and do the right thing. It is imperative that people working for nonprofit organizations look past the every-day logistics of keeping a program, shelter, or whatever it may be, going. People can’t connect with hard numbers or abstract, larger-than-life concepts. They can connect with real people and real instances where a particular organization made a tangible difference. We got in touch with Safe Harbor! Hallelujah! A woman from Safe Harbor got in touch with us last night and this morning and we now have scheduled time to come film a client and the shelter! We will be interviewing the client tomorrow morning. Hopefully she will be willing to talk about her experiences and we don’t have to pry! It is such a sensitive issue that we are going to have to approach everything very delicately and with prudence. We are not sure about how anonymous she wants to be, so we will cross that bridge when we get there. Also, we believe that the nature of her story will determine the ultimate angle that the final video will take. Once we are done filming we are going to head to the shelter and collect a bunch of b-roll footage that we will use to splice into her story. We will also be showing statistics and moving quotes from her story throughout the video to add interest and keep things moving. Getting all of this coordinated and gathering the equipment we need to film has been stressful, but we finally have it going. Lights, camera, action!